Lauren M. Anderson - landerson@shawmedia.com McHenry wrestling head coach Will Gaddy (second from right) watches a match against Cary-Grove on January 5, 2012. 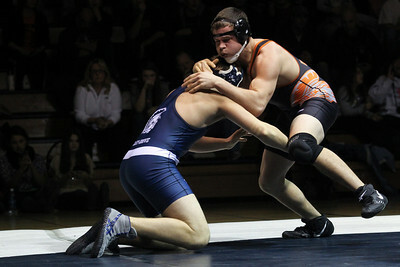 Lauren M. Anderson - landerson@shawmedia.com McHenry's Jake Pait (right) battles Cary-Grove's Matt Hughes during their 152-lb match on Thursday. Pait won by decision 5-3. Lauren M. Anderson - landerson@shawmedia.com Cary-Grove's Garrett Glueck (bottom) holds down McHenry's Cody Patchett during their 145-lb match on Thursday. 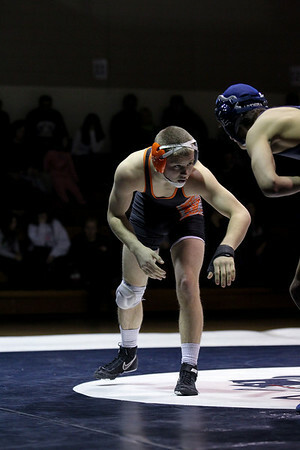 Glueck won the match by decision. Lauren M. Anderson - landerson@shawmedia.com McHenry's Brad Ostdick (left) and Cary-Groves Anthony Scrima battle during their 120-lb match on Thursday. Olstdick was able to pin Scrima in the second period. Lauren M. Anderson - landerson@shawmedia.com McHenry's Wade Lardy reaches for Cary-Grove's Matt Fina during their 138-lb match on Thursday. 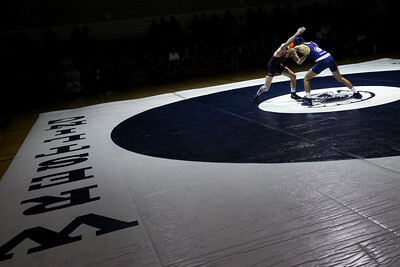 Lauren M. Anderson - landerson@shawmedia.com Cary-Grove's Max Kersten battles McHenry's Jeff Nykaza (right) during their 182-lb match on Thursday. Nykaza won by decision 10-3. 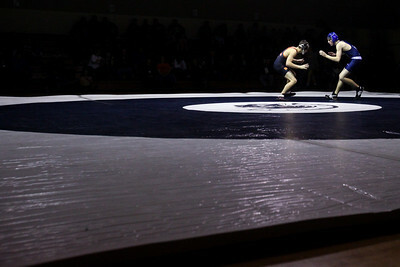 Lauren M. Anderson - landerson@shawmedia.com McHenry's Mike Infelise and Cary-Grove's Cody McAntire square off for their 126-lb match on Thursday. Infelise pinned McAntire in the second period. 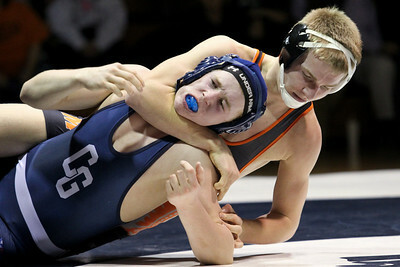 Lauren M. Anderson - landerson@shawmedia.com Cary-Grove's Mike Altendorf gets pinned by McHenry's Mike Sikula during their 113-lb match on Thursday. Sikula got the pin at 1:05 in the first period. Lauren M. Anderson - landerson@shawmedia.com McHenry's Cam Pait (right) attempts to turn Cary-Grove's Emerson Kersten on his back for a pin during their 160-lb match on Thursday. Pait won by major decision 11-3. Lauren M. Anderson - landerson@shawmedia.com Young boys watch the wrestling matches between Cary-Grove and McHenry on Thursday at Cary-Grove High School. Lauren M. Anderson - landerson@shawmedia.com McHenry's head coach Will Gaddy yells from the bench during a match against Cary-Grove on Thursday. Lauren M. Anderson - landerson@shawmedia.com McHenry's Wade Lardy (left) and Cary-Grove's Matt Fina square off in their 138-lb match on Thursday. Lauren M. Anderson - landerson@shawmedia.com McHenry's Kody Olejniczak [cq] (back) pins Cary-Grove's Greer Bozeman [cq] in their 195-lb match on Thursday. Lauren M. Anderson - landerson@shawmedia.com Cary-Grove's Mike Underwood (right) lunges into McHenry's Tony Lopez during their 132-lb match on Thursday. Lauren M. Anderson - landerson@shawmedia.com McHenry's Britches Sikula [cq] (right) grapples with Cary-Grove's Dale Charlier during their 106-lb match on Thursday. Sikula won with a major decision 10-2. 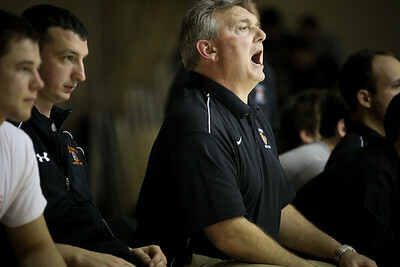 McHenry's head coach Will Gaddy yells from the bench during a match against Cary-Grove on Thursday.